The Carlisle S31403 oval ramekin comes in black to blend into almost any theme. 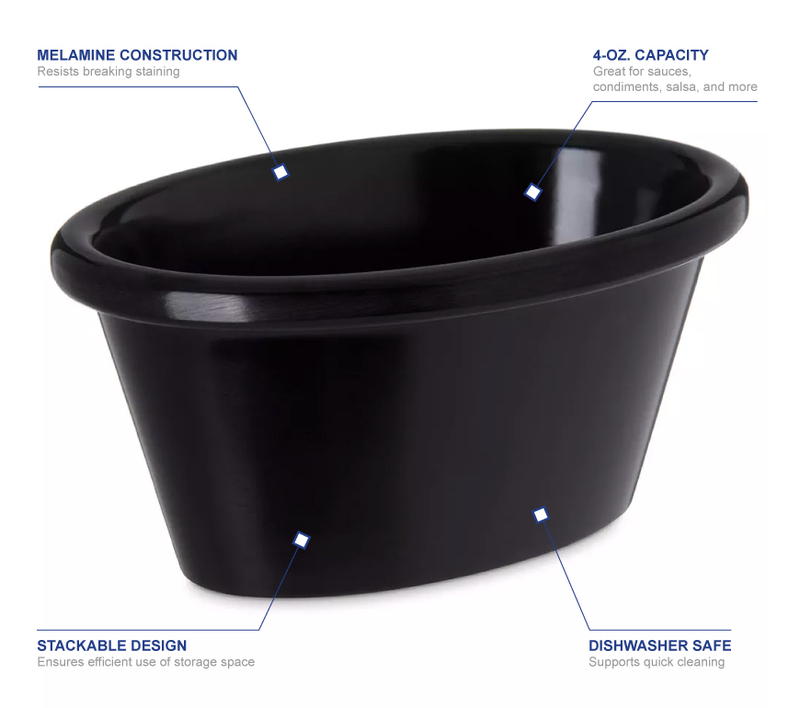 The dish can stack with multiple oval ramekins to help reduce the amount of space they take up. Cleaning the dish is simple since it can be heated to 212 degrees Fahrenheit, allowing the dish to be cleaned in your commercial dishmachine. Sauces, condiments, and more will easily fit in the 4-ounce capacity. Stains and odors will not be absorbed with the melamine construction. 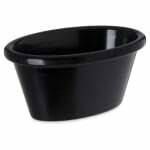 The shape of the Carlisle S31403 oval ramekin is great for pouring liquids, like salad dressing.